Not Satisfied With Your Current Cleaning? Lack of Professional Management Could Be The Problem. For years I was getting burned by one janitorial company after another who just ended up emptying the trash, running around with the vacuum and putting out some toilet paper. I never got the hours of cleaning that I was promised. Then I called Pacific West Cleaners and I finally got off the 'roller coaster' that all my previous commercial cleaners forced me to put up with! The system Pacific West Cleaners uses gave me the two things I wanted: #1) a clean building and #2) unlike the rest, these guys gave me my full value - that's right, all the hours of cleaning they promised - not just the 1st week ... but every week! Are you like Lori experiencing poor janitorial service and never getting the hours you were promised? Well, that never has to happen to you again. Guaranteed! 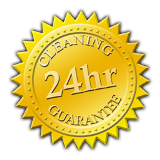 Pacific West Cleaners gives you our 'Full Value Promise' which guarantees you'll get ALL the hours you were promised EACH week or that week is FREE! At Pacific West we are raising the bar on professional janitorial services and know from years of experience that consistent high quality cleaning requires more than just hard work. It takes a systematic approach. Pacific West Cleaners uses a Tracking System that monitors your cleaning service so that you as a building owner or manager can finally relax knowing your building will always look great because you always get what you pay for! Your property is assigned a professional manager who works with his cleaning team to consistently bring you the quality cleaning your building and staff deserve. Each one of our cleaning professionals wears a neat looking uniform and ID badge. In addition to a professional manager, managing your cleaning service each night, Pacific West sends out an Operations Specialist each month to inspect your property to measure the quality of the work using a 65 point checklist. We then review with you to ensure your total satisfaction. Our customers are impressed not just by our thorough cleaning but by our attention to detail. Choose Pacific West Cleaners for your piece of mind and enjoy the quality that comes with Pacific West Cleaners' 'Full Value Promise!' You'll get ALL the cleaning hours you were promised EACH week -- or, that week is FREE! they pull it out and use it a lot!